UNRWA services are available to all those living in its area of operations who meet this definition, who are registered with the Agency and who need assistance. The descendants of Palestine refugee males, including adopted children, are also eligible for registration. Palestine refugees are more than just numbers and statistics. They are mothers, fathers, children, students who dream of a better future, business owners with hope for a better life, teachers, farmers, fishermen. They want to laugh, spend time with their families and live in dignity, just like you and me. Tareq is a Bedouin Palestine refugee and one of the founders of the Sahari Desert Eco-Tourism initiative. Tareq and his business partner, Jamil, spend their days and nights leading visitors on hikes in the Jerusalem and Jericho areas. 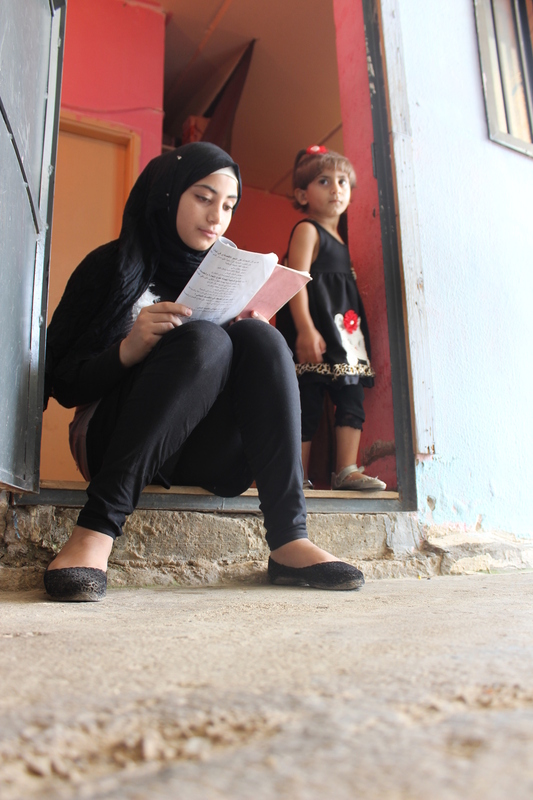 Maria is a diligent ninth grader in Marka camp, Jordan, who spends four hours studying every day. When she grows up, Maria hopes to graduate from university and find employment in order to help her parents and live in a house with a garden. Madleen is the only known fisherwoman in the Gaza Strip. She started fishing with her father when she was six years old.The Mediterranean Sea once provided a livelihood for some 8,000 families in Gaza. Today, with the Israeli-enforced fishing boundary, the industry has all but been annihilated. Fishermen/women can access less than one-third of the fishing areas allocated to them under the Oslo Agreements: only 6 out of 20 nautical miles. Working as a fisherman or woman is also dangerous. The Israeli navy regularly shoots at Palestinian boats that they consider having crossed the agreed fishing zone, sometimes resulting in injuries or death. But despite the difficulty catching fish in the restricted region, Madleen takes a boat out to sea each day. Imad is a 'oud player, composer, conductor, and music teacher at an UNRWA school in Rif Damascus. He finds refuge in music. He uses music to help children and communities cope with and recover from trauma. Nour is a bright secondary student in Lebanon. She wants to be an opthamologist because of her own story; when she was six months old, Nour was injured in her left eye by fireworks that other children were playing with nearby during Eid celebrations.